A monogram motif is a simple, sophisticated way to add a personal touch to your wedding invitations. The elegant, single-letter flourished monogram is repeated throughout the wedding suite, creating a subtle, yet upscale theme. 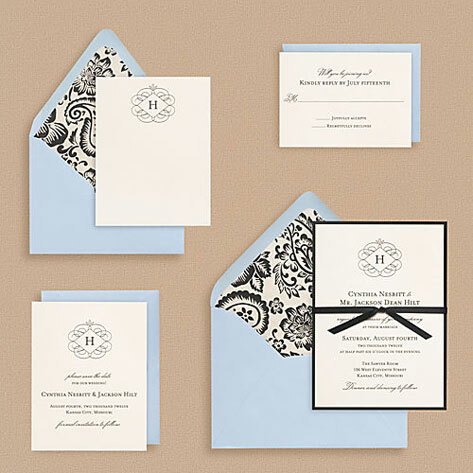 Bold black and white coordinating mounted backing and envelope liners give this suite big impact, and soft bluebell colored envelopes provide an unexpected contrast.